Beginning in 1845 A. H. Layard excavated in the region of Nineveh near the current town of Mosul. He found about 25,000 clay tablets containing writing, as well as many Assyrian artifacts, most of which are presently in the British Museum in London. When translated, the best known of these tablets were found to contain the Gilgamesh Epic, a story about a flood which closely resembles the story of Noah. Other tablets seemed to be mostly receipts for business transactions, customs documents and personal letters, so were ignored for many years taking a backseat to Gilgamesh. 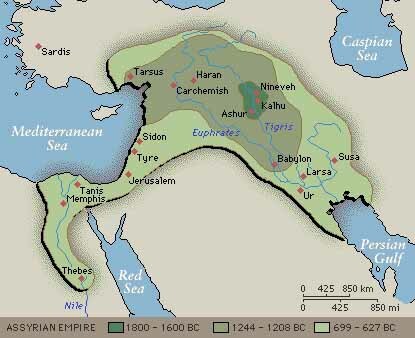 In time, upon additional translation, they were found to contain stunning revelations about the Lost Tribe Israelites who were in Assyrian Captivity from 722 BC to 610 BC. Among the most significant finds were the names which the Assyrians gave them, allowing these Israelites to be tracked through history after they left Assyria.